6.11 Issue #11: I want to change all scales to the metric system. 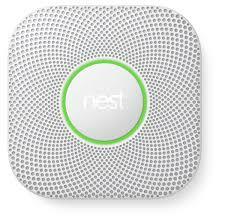 Nest Protect(s) operational & connected to Nest Backend via the internet. 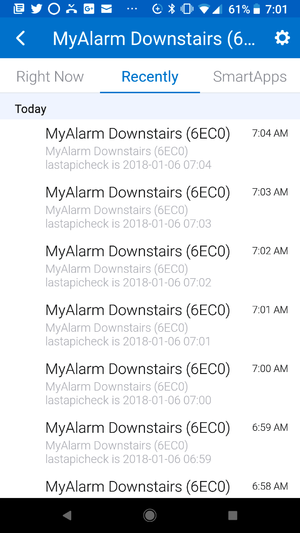 Even with a high refresh rate, the events trigerred at the Nest Protect are polled, so there is no real time event processing possible at this time (Nest APIs limitations). So, you cannot rely on this SmartThings integration (like any others) as a real time warning procedure. Most of the time (unless specified otherwise), you just need to copy and paste the MyNextAlarm Device's code from the the related txt files, and save & publish. At the next "refresh", My Next Alarm will display the values in the metric system. 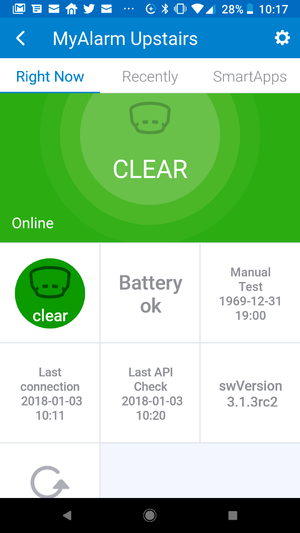 If some of your Next devices are disconnected under the new Samsung app, you may have created many of the same devices by executing MyNextManager many times... Under the new Samsung mobile app, you then need to clean them up by pressing the "edit" button next to your location and removing them. This page was last edited on 25 March 2019, at 09:30.